Reading progress update: I've read 35 out of 95 pages. 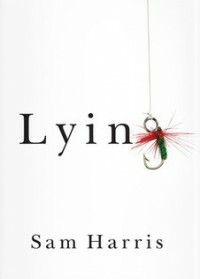 After reading Letter to a Christian Nation and lending it to a friend, a few days later this same friend lent me another Sam Harris book—this time on the ethics of lying. So far, I agree with his opinion on prioritizing truth above all else—in general, I am an honest person and would much rather tell the truth—but I've realized too much honesty can get me into trouble, so I am looking forward to what he has to say about that as well.